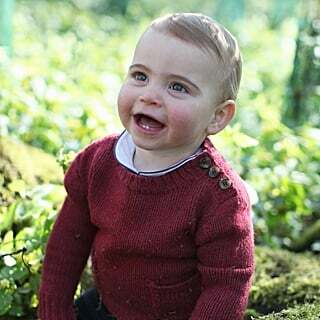 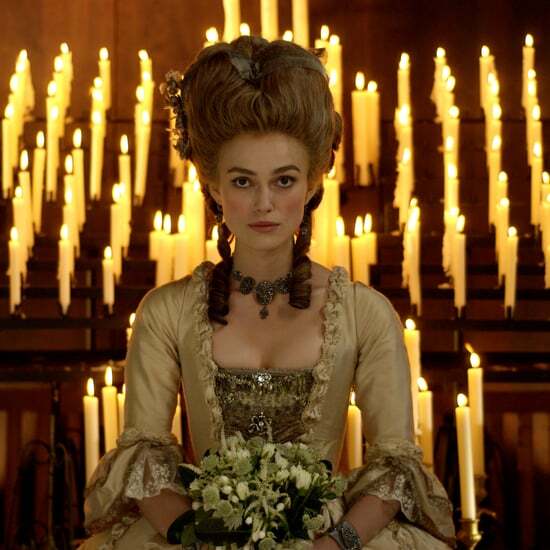 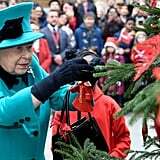 The British royal family is certainly getting into the holiday spirit. 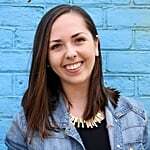 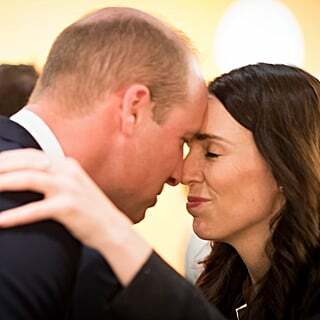 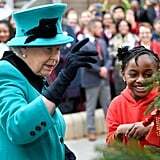 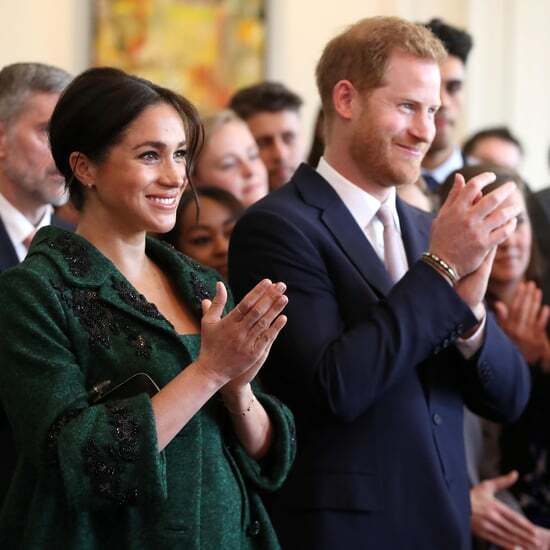 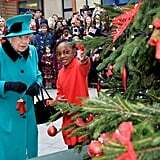 Prince William and Kate Middleton recently hosted a Christmas party for military families, Prince Harry and Meghan Markle attended their first Christmas carol service, and now Queen Elizabeth II is spreading cheer with her latest appearance in London. 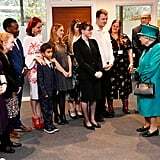 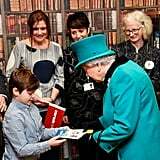 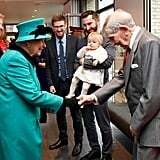 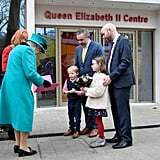 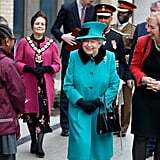 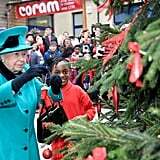 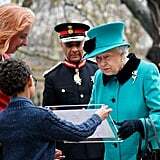 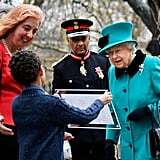 On Wednesday, the queen visited Coram, the UK's oldest children's charity, to open a new center in her name and partook in a sweet holiday tradition in the process. 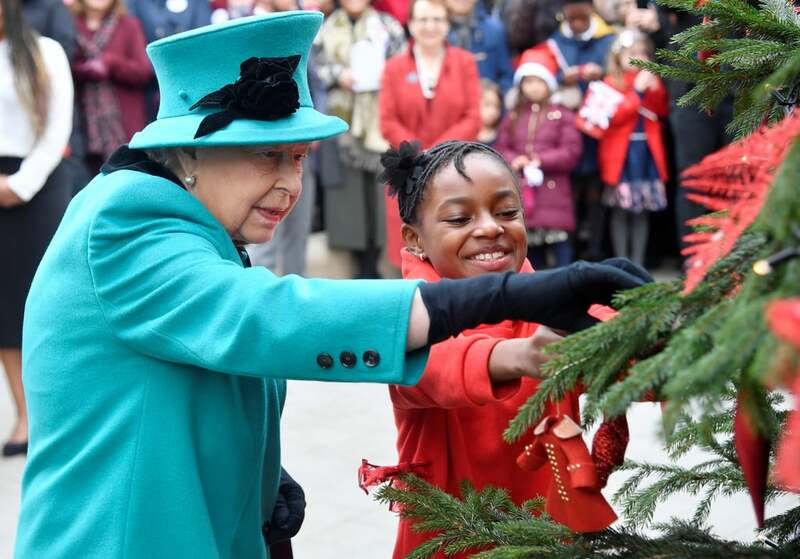 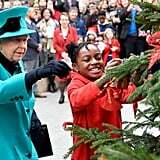 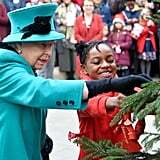 The royal shared a cute moment with a little girl as she hung her very own ornament on a Christmas tree. 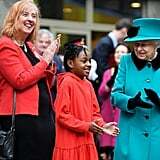 During her visit, she also met the oldest surviving resident from The Foundling Hospital, the original name of Coram. 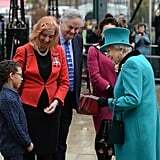 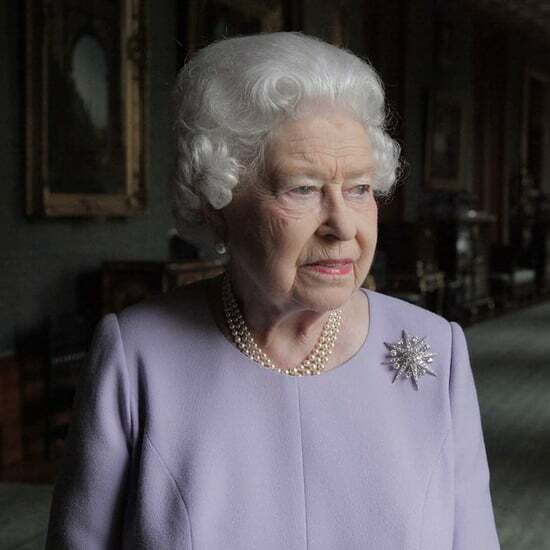 The 102-year-old man named Edward Newton actually met the queen's late father, King George, during a visit in 1926 when he was just a little boy. 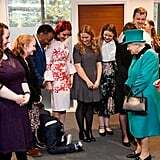 What a small world!